If you have a small business it is likely that you are sending out low volumes of mail, despite popular belief you do not need to be sending out masses of mail in order to benefit from franking your mail. There are many different types of small business franking machines available on the market today, there is something for everyone as the products range from low volume (less than 100 pieces of mail sent each day) to high volume (thousands of pieces of mail sent each day). A small business could benefit from time and cost savings when using a low volume-franking machine. 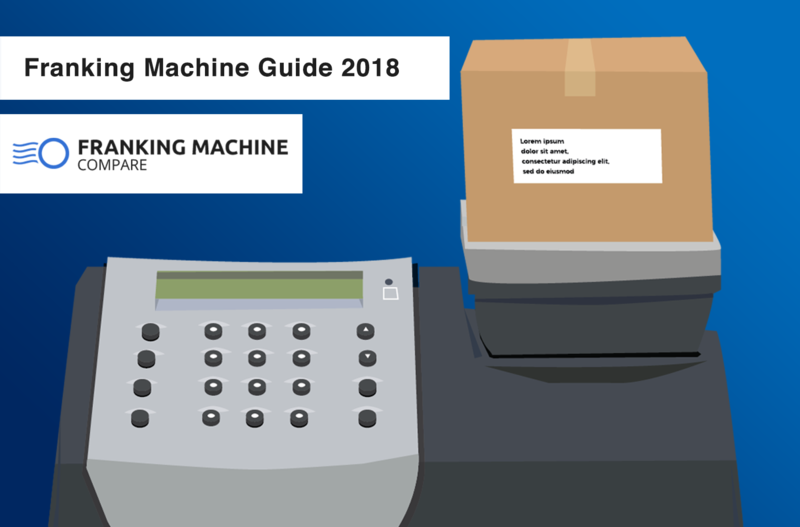 To help give an idea of the franking machines available for small businesses we have summarised a few of our favourites. Royal Mail Approved suppliers manufacture the franking machines listed below. 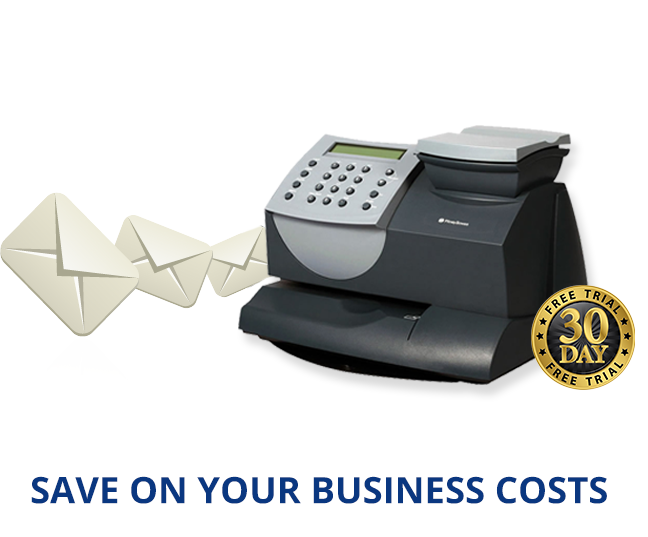 Even when sending small amounts of mail each day you can save your business money by using a franking a machine. To rent a low volume franking machine would cost somewhere between £15 – £25 a month, you will then save on every piece of mail you send and overall you will save around 34% on postage costs compared to when you were sending mail with stamps. 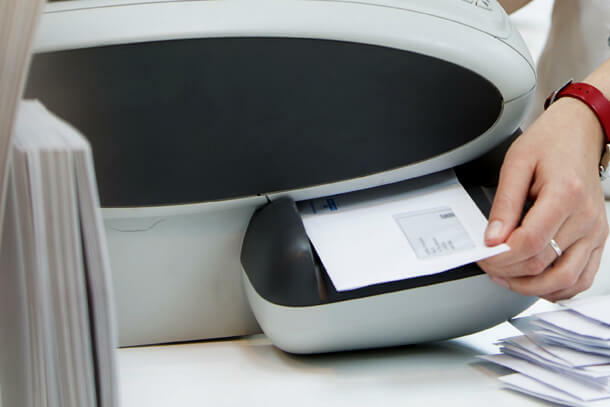 We’ve put together a list of the best small business franking machines that can take your postage efficiency to the next level. The DM50 model from Pitney Bowes is a very popular entry level franking machine, it comes with everything you need to start franking in a compact package. The 2.5kg built-in scale helps to make sure that the cost of sending every piece of mail is accurate, avoiding the overpaying that can occur when using stamps and ‘guessing’ the amount of postage. Not only will the DM50 save you time and money but it also allows you to promote your business by adding your logo or company name onto the front of the envelopes.. Your mail will be accurately priced, look professional and will help maintain your brand image at the same time. 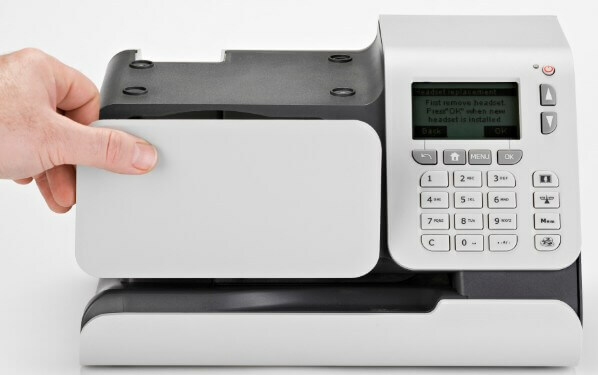 The DM50 is a low volume machine that can be rented for £19 a month, if businesses want to buy and own a franking machine it would cost approximately £1,000. You can read our full Pitney Bowes DM50 Franking Machine Review here. These features help to make franking as quick and straightforward as possible, the pre-programmed options allow you to access the settings you most use to make setting up the machine as simple as pressing one button. The low postage credit alert helps to avoid suddenly becoming unstuck, it can also help you to keep an eye on how much your postage is costing and how long that credit lasts. The MyMail low volume-franking machine will cost £15 a month to rent and approximately £1,000 to buy outright. Neopost manufactures this low volume-franking machine, it is a compact and attractive machine that comes with all the features a small business requires. The IS-240 has a scale to precisely calculate postage costs and has postal rate wizard that makes price calculation even simpler. This franking machine also helps you to track and manage your postal amount and expenses. The IS-240 helps you to not only save money by franking but it also helps you to keep a more detailed record of your postage costs. You can rent this low volume-franking machine for approximately £17 a month, or it can be bought outright for £1,000. These are three incredible franking machines, they all offer something slightly different but have all the basic features a small business needs when franking mail. Each one will cut the amount of time spent doing the mail and will save you money with every piece of mail sent. It is important to shop around as there are so many different franking machines, if you have an idea of what you need from a franking machine it will make choosing one a lot easier. The best thing to do is to rent a low volume-franking machine and then upgrade to a larger machine as and when your business grows. This is because if you start with a large machine you will be paying more for features you are not yet using, the lower volume machines have all the features a small business needs at a good price. Feel free to request a quote from us and we will help you find the best franking machine for your business.